Do you have a gamer on your gift list this holiday season? 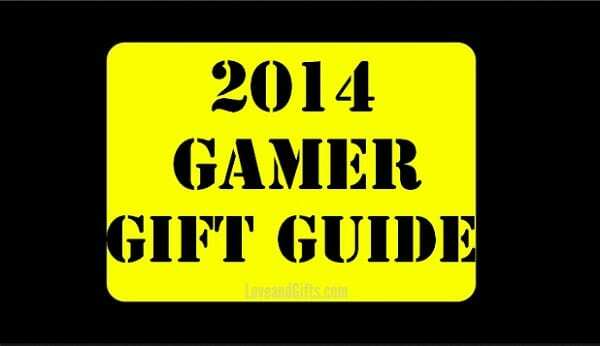 Here are 10 of the best gamer gifts of 2014 he or she will love receiving from you! The PlayStation 4 Destiny Bundle includes everything they need to get start playing their favorite games including a super cool white PlayStation 4, a DualShock 4 Wireless Controller, the hot new game ‘Destiny’, a 30-Day PlayStation Plus Trial, HDMI Cable, Power Cable, Wired Mono Headset, & USB Charging Cable. Already have the PlayStation console? How about getting a 1-Year PlayStation Plus Membership which is compatible with the PS4, PS3 and PS Vita systems which will take their gaming to the next level with free game trials, access to an ever-expanding Instant Game Collection and a diverse range of immersive online multiplayer experiences. If your gamer prefers getting their “game on” on an Xbox, they definitely need and Xbox One and a Microsoft Xbox Live Gold Card that gives them unlimited online multi-player gaming access. Every avid gamer needs a good set of gaming headphones to cancel our surrounding noise to enhance their gaming experience. A favorite among gamers all over is the HyperX Cloud Gaming Headset which is designed in Sweden, compatible with PC, PS4, MAC, iPhone, Xbox One, and recommended by the world’s most elite gaming organizations. If the gamer on your list prefers to play games on their computer, they’ll love the Atlantic 33935701 Gaming Desk which organizes their monitors, cables, controllers and more or a high tech gaming keyboard like the Mad Catz S.T.R.I.K.E.7 Gaming Keyboard . Need more gaming gift ideas? Check out Amazon’s gift guides or Groupon’s deals where you can Save 70% or more on new deals near you !